Established in 2010, the Multicultural Scholars Program (MSP) is funded through the United States Department of Agriculture (USDA) National Institute of Food and Agriculture (NIFA). Five DVM students have the opportunity to become USDA-MSP Scholars. USDA-MSP Scholars receive partial scholarships, funding to participate in a Special Experiential Learning Experience (SEL), and complete several requirements designed to provide support, improve retention, and assist with career-planning. The USDA NIFA Multicultural Scholars Program's goal is to enhance the DVM student experience and provide support through graduation. The PVM USDA-MSP Scholar program has been a great learning experience of the need for diversity in the veterinary field. 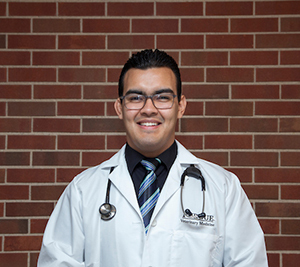 It has also provided me great counseling to help guide me on my goals as a future veterinarian and leader. 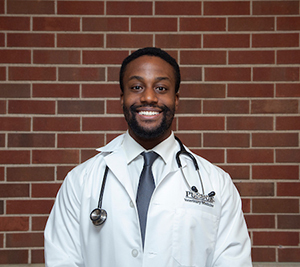 This program has allowed me the opportunity to form relationships with upperclassmen and faculty I would've otherwise not gotten to know as well and they have been of great help during my first year of veterinary school. I hope to continue to grow through the program and become the best veterinarian I can be. Being a USDA-MSP Scholar has provided me with mentorship, financial aid and assisted with keeping me on track during school. 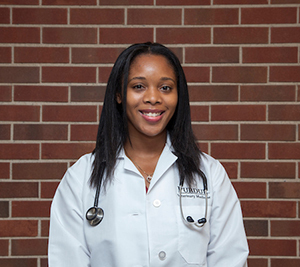 It afforded me with the opportunity to participate in internships during the summer months and has also provided me with guidance on what I will be doing as a veterinarian in the future. I have been able to narrow my future career options, develop my resume and also keep track of my mental health during the semesters. Lastly, I have been able to grow as person and expand my understanding of people from different backgrounds through diversity training and mentorship of young children. Being a USDA-MSP Scholar has greatly enhanced my veterinary experience. 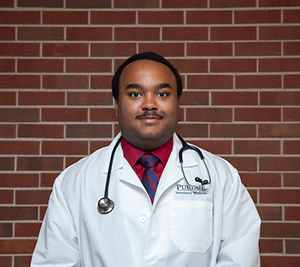 It has been an incredible augmentation to my Veterinary experience here at Purdue. It has provided me with an immense amount of opportunities to grow as a culturally competent individual. It has enriched my education exponentially while assuring to grant me a greatly needed support system. It has opened doors for my professional development and broaden my perspectives on veterinary medicine. I am so blessed to become a member of this family that there are no words to describe how thankful I am for such an honor. 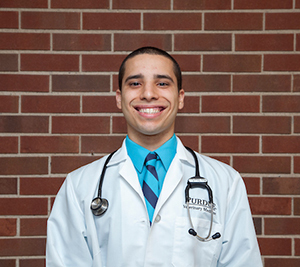 Being a USD-MSP scholar has meant a great deal to me as Purdue University veterinary student. It has made me feel welcome and understood, while also giving me the opportunity to become an ambassador for diversity in the classroom. Financially, the program has helped eased the cost of enrollment and made me aware of more scholarship opportunities. The USD-MSP program has given me skills, resources, and mentors that I plan on utilizing for the rest of my Veterinary Career. The USDA-MSP Scholar Program has been a great way for me to immerse myself into the Purdue University School of Veterinary Medicine. 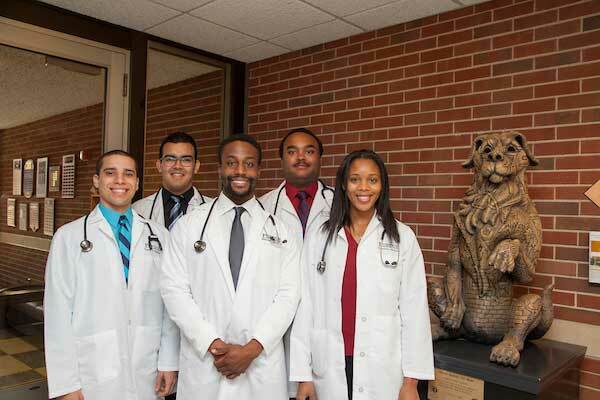 As a minority student, I have enjoyed meeting and learning from my peers, all the while knowing that we share the same passion for Veterinary Medicine. The advisors are available and esteemed role models of professionalism. They consistently challenge me to pursue my professional goals; seek new educational experiences; and improve upon my leadership skills. Their commitment to my growth as a student and individual is just one of the many reasons why I am proud to be recognized as a USDA-MSP Scholar.